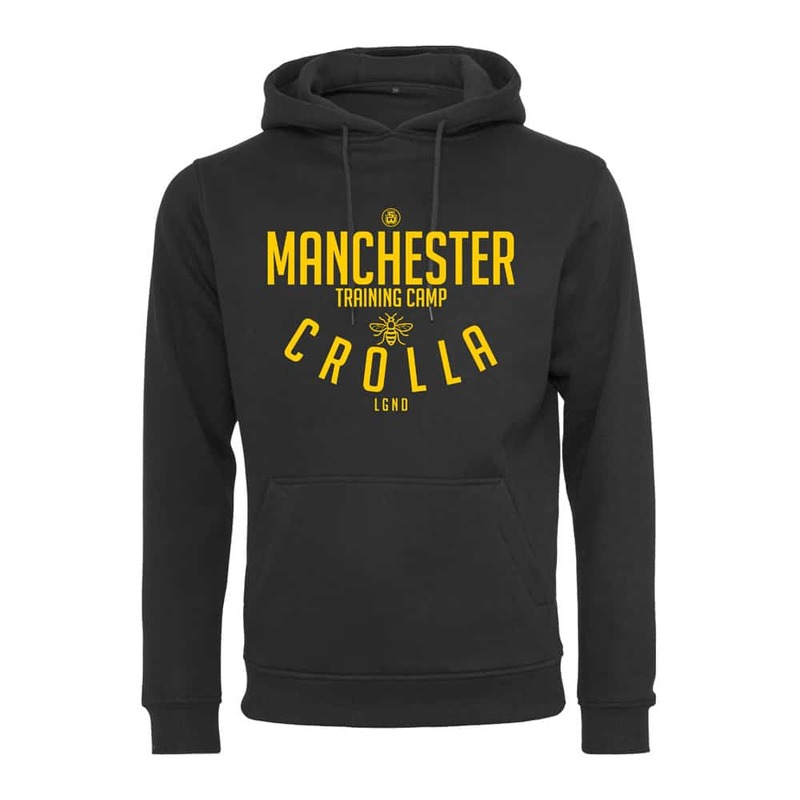 Team Crolla Hoody Design by LGND Suzi Wong. Show your support for Anthony Crolla wearing his official Training Camp hoody. All Suzi Wong Hoodies are premium quality cotton, regular fit with double-needle hems and taped shoulder seams. Hoodies by Suzi Wong feature unique designs, all crafted by our in-house artists, and hand printed to ensure the best quality. Fans Hoodies make the perfect gift for boxing enthusiasts, amateurs or professionals. Whoever you are, show your support for your favourite boxer, team, club, gym or even country. All Hoodies are 100% Cotton. Printed in our Lancashire based studio to order. If you have an idea for a Hoody design, why not get in touch with the studio. We can custom make any garment for your Fight Night, Training or Even Supporters Needs. Just get in touch with the studio to discuss your ideas and we’ll give you a quote.